An increasingly hip city thanks to students and Sydneysiders heading south for a less pricey and more laidback lifestyle, Wollongong entices with beaches, cafés and a dash of culture. The ’Gong is blessed with 17 picturesque beaches, all patrolled from September to April. The top surf breaks are at Sandon Point, Woonona and Bellambi, while the North Wollongong beach is always good for quick cool off. The City Gallery, with its ever-changing displays, is a must-visit, with work by local artists and a strong contingent of indigenous pieces. 41 Burelli St, Wollongong 2500. 02 4228 7500 Tue-Sun.Music Farmers is a vinyl-only record store with vintage vinyl from such labels as Stax and Motown. 5 Crown Ln, Wollongong 2500. 02 4228 0459. Daily. All Good Things Organic Market is where you can stop and sip a juice or a single origin brew, sample one of their ‘super-food balls’ and then cruise the aisles and stock up on everything for which your digestive system will thank you. 91 Burelli St, Wollongong 2500. 02 4229 9439. Daily. For a great coffee your first stop is Meni Café, one of two hotspots on the Hill operated by former Sydneysiders. 385 Crown St, Wollongong 2500. 0421 644 808. The other is Sandygoodwich, a brisk two-minute stroll down the hill towards the centre of the city. 363 Crown St, Wollongong 2500. 02 4244 4690.Both offer tasty food served on cutting boards rather than plates; a never-ending soundtrack of soothing 21st century acoustica; and baristas sporting jaunty headwear. If the sun has started to set over Bluescope steelworks to the south, the time is nigh to check out the action at Yours and Owls, a bar that’s a little slice of Melbourne laneway lifestyle smack dab on the fringes of the mall. 95a Crown St, Wollongong 2500. Tue-Sat. 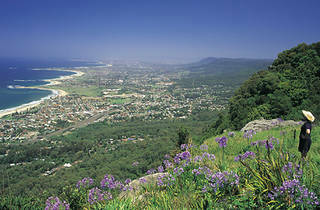 The drive into Wollongong is beautiful and spectacular. Head south down the A1 to Sutherland and turn off at Farnell Avenue for the Royal National Park. 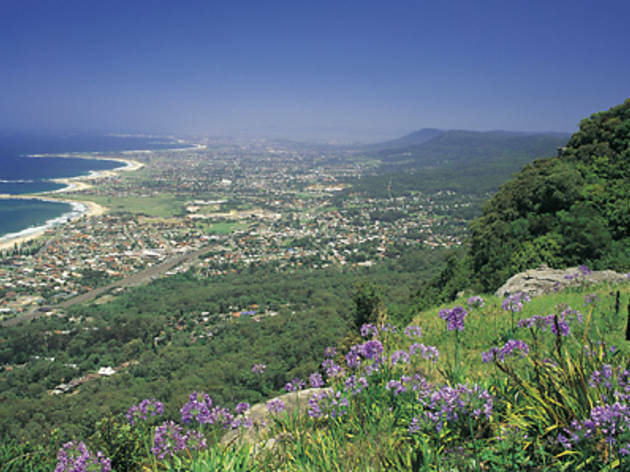 You’re on the Grand Pacific Drive, which takes you through Otford and Stanwell Tops and across the 665-metre Sea Cliff Bridge, through idyllic seaside suburbs such as Austinmer and Thirroul, and into Wollongong. For a faster return trip, follow the signs to the M1; the 84km journey takes just one hour and 15 minutes. For more short getaways, visit off the beaten track.